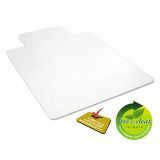 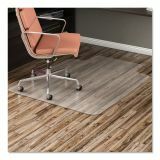 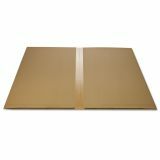 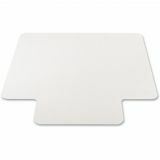 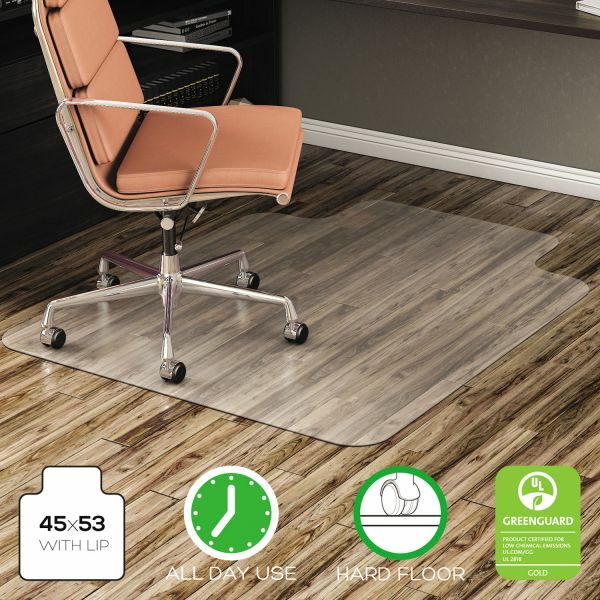 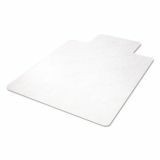 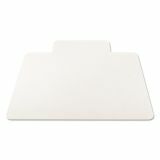 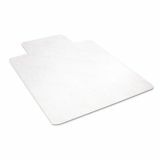 deflecto EconoMat All Day Use Chair Mat for Hard Floors, 45 x 53, Wide Lipped, Clear - Hard floor chairmat with a straight edge features a studless design for safe use on hardwood, tile or vinyl floors. 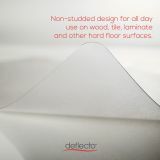 Nonorthophthalate, noncadmium formula offers exceptional clarity and performance to deliver long-lasting protection. 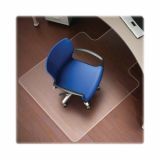 Scuff-resistant top is lightly textured to prevent slipping while allowing you to roll smoothly on your chair. 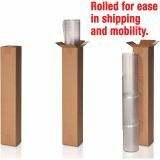 Plus, its BPA-free construction ensures low chemical emissions for healthier indoor air. 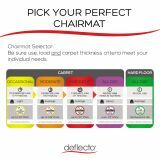 Chairmat is perfect for use on uncarpeted floors.